Travelers Aid International is a member of Human Care Charities of America, and a proud participant in the Washington area Combined Federal Campaign. 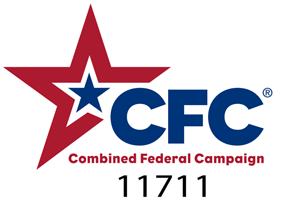 Our CFC number is 11711. The Independent Charities Seal of Excellence is awarded to the members of Independent Charities of America that have, upon rigorous independent review, been able to demonstrate that they meet the highest standards of public accountability, program effectiveness, and cost effectiveness. These standards include those required by the U.S. Government for inclusion in the Combined Federal Campaign. Of the 1 million charities operating in the United States today, it is estimated that fewer than 50,000, or 5%, meet or exceed these standards, and, of those, fewer than 2,000 have been awarded this seal. Whether you are a long-time supporter of Travelers Aid or have just discovered the work that we do, thank you for your help!